Each Kraftform VDE set has been put through vigorous testing in a water bath at 10,000 volts to guarantee safe working standards and meet 1,000 Volts. Kraftform Kompakt VDE sets come with an insulated handle and interchangeable blades that can be quickly changed without the use of special tools. I really like this set. I was looking for just an insulated #2 square tip and saw this whole kit. Everything about this kit says quality. From the fancy box to the Velcro canvas case with a rubber logo of the tool on it, wera has an excellent presentation of the tools. I’ve used it a little so far and the tools preform very well and have a comfortable grip. This is a great deal, at an awesome price. I have three bits that I constantly carry with me at work, much handier than having to carry three screwdrivers. This is the configuration to have! Two handles and cabinet keys make their mark. Very happy with the purchased, good quality product that will last a long time if used for their purpose. also fast shipping I definitely recommend this to my co- workers. Just what tools I need for my job. Affordable, comfortable to use, and good quality. All of my colleagues had these already and I had cheaper ones, but the cheap ones broke. Bought this set with no idea on it. Well the Wera 347108 Kraftform Kompakt VDE 60 i/62 i/68 i/18 Slotted/Phillips/Square/Cabinet Insulated Blade Set is a Best Buy!! This is a really good portable set. Got mine here on sale, fairly quick and no hassle. This one has two handles which is nice for US as the electrical tester - if I remember right - was for 240V. 120V will barely illuminate it. Worthless... A second handle is so much the better imo as often need two for a task. There is a slim set out there that is somewhat similar which has some Torx in place of some of the specialized pieces this set has - that comes with the tester (at this point anyway) and one handle. If they US localize it more, it should also drop the tester. I have a few Fluke and would not likely use the tester for anything other than putting in the drawer even if it did work for stuff I do. I have to admit, I got that set too though. Slim is nice. KC does not yet carry it - would recommend they check it out. Still like this set though very much. Like the cabinet keys. Like the Wera Kompakt form factor in general. 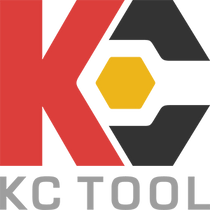 KC Tool has replacement parts @ nice price.